VU’ discovers, reveals and represents author-photographers with singular style: news report, long term inquiry, intimate narrative, portrait, conceptual photography… As a major actor of contemporary photography, Vu has been promoting author photography since its creation in 1986, and evolves with consistency and inventiveness thanks to strong ethic and aesthetic biases, without excluding any style nor scope of expression: press publication, publishing, business, advertising or institutional communication, conception and organisation of exhibitions in the Galerie VU’ or outside, production of webdocumentaries or multimedia projects, sales of prints, special editions, rare books or cultural artefacts… on the website or via its online shop. 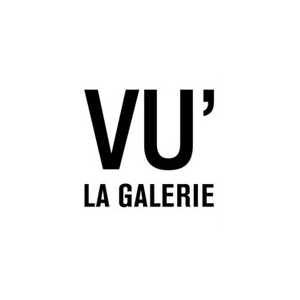 Through the organisation of meetings, conferences and workshops, VU’ is also a think-tank on the evolution of photography. Finally, VU’ is a team that works with passion and rigour with all the photographers, and on all the projects. Further information about this partner place here.